I mentioned ChloBo in a couple of my previous posts (here and here) as well as telling you briefly that their latest collection is After Dark. This is my favourite collection from ChloBo yet; I love the current metallic trend of this season and After Dark reflects this using semi precious stones Pyrite and Haematite. Both these stones are dark intense black and bronze metallics and there's something about them that just makes me think of Winter sparkles and Christmas. 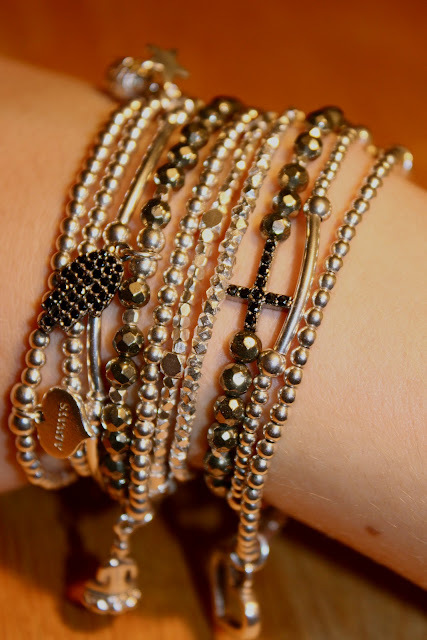 I'll be wearing them non-stop this Winter but I'm sure they will complement my sterling silver stack consisting of Dreamlands (a previous collection from ChloBo) and Iconic bracelets. 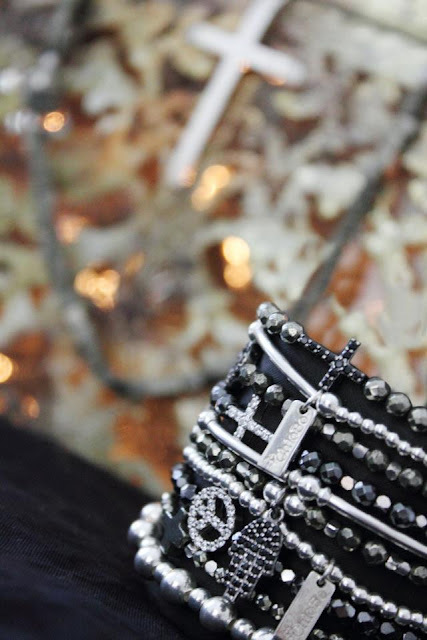 Chloe was inspired to name and create the After Dark collection after a visit to Istanbul. Chloe says "By day the old town is teaming with tradesmen and traffic and the pavements are hot and dusty. As the city's lights switch on at dusk, the place becomes a twinkling kingdom and the glitz and glam come out to play." This amazing city sounds beautiful and Chloe has translated this beauty into her designs in a way that only Chloe could. The collection is a plethora of Pyrite and Haematite with contrasting Cubic Zirconia charms and she has even introduced some delicate fine chains, a cute new design for ChloBo. I have the Pyrite Inset Sparkle Cross and Pyrite Sparkle Hamsa Hand and I absolutely love them, although I have got my eye on the Haematite Inset Peace Necklace which is stunning. Do you have any favourites from the ChloBo After Dark collection?